100 Days into your presidency may have passed, and yet the salutes of praise in Africa’s great tradition that honored your newly-inaugurated leadership still apply: Bayethe Nkosi! Amandla! Alala! Hosana! All Hail in the name of the Lion! You have drawn on strength, courage, wisdom, endurance and every other leonine quality to help transform the injustices of the past into the opportunities for the future. In today’s governance crisis, not only in South Africa but globally, humanity desperately needs true LionHearted Leadership, so as the page turns on this country’s history, we ask, dear president, will you step up to the title of “Lion”, King of Nature? A timely reminder that your position as true leader of this country was not merely ballot appointed, but divinely sanctioned. Thus, at this historic turning point, can we look to you to hold that signature of true leonine governance of which future generations can be proud? Our Nation, indeed our planet, requires greater leadership now than at any prior time in human history. In your brief time in office you have shown great courage in redressing the legacy of corruption and destruction. Yet, recognizing the tight-rope you walk between diplomacy and action, much LionHearted work still needs your urgent attention to restore the real State of the Nation. Lions, Land, People. You have courageously tackled two of the most critical issues that demand restitution. But what of the first mentioned? No leader can meet the tasks at hand for Land and for People without being a steward of Nature, that living heritage bestowed by a greater Authority upon humanity to cherish and govern and pass on to future generations. Much as the Lion is responsible for maintaining continuity of life in God’s ecosystems (a natural process that ecologists now call “Trophic Cascading”), so the human leader, when divinely appointed, takes responsibility for continuity of living heritage. Through this, ecology and economy come back into true relationship: ensuring a peaceful and prosperous future. There is a mythic dimension to this story and it’s hard not to identify your predecessor, alongside certain exploitative components of the colonial rule, with the figure of “Scar” in Disney’s timeless epic, the Lion King, seizing the riches of our beloved country and laying waste to its once proud heritage. The Lion King myth is critical to any leader, wrestling with the important issues of kingship and kinship in the realms of true governance. Yet in the context of South Africa, lion myths are a living reality. In the sacred forests of Venda, your homeland, the ancestral spirits of departed chiefs are said to roam in the form of White Lions. Amazingly, our country has been blessed with the birth of these majestic animals, not only in ancestral spirit, but in physical flesh and blood. How abominable then that our former leadership treated Nature’s King of Kings with such contempt? You, of all people, appreciate that a healthy economy ultimately relies on healthy ecosystem, where all was designed by the Great Designer to thrive. Nature in its pristine design – not held in cages to be killed – is critical for the revitalisation of the country and the restoration of our nation. Ecologists have now established that the Apex Predator, the Lion, restores health and balance to all animal and plant species in its ecosystem, all the way down the trophic levels of the food chain to the earth itself, this beloved land of Africa. Ranking amongst the very dregs of your predecessor’s bankrupt legacy for our people, is the maltreatment of our natural heritage: without comparison, the most heinous legislation against wildlife in humankind’s history: “industrialization” of Panthera leo, speed-bred in cages to be killed for blood-sport, or starved to death as living skeletons in cross-border trade for bogus medicinal purposes. Is this South Africa’s legacy to our children, and to our Creator? 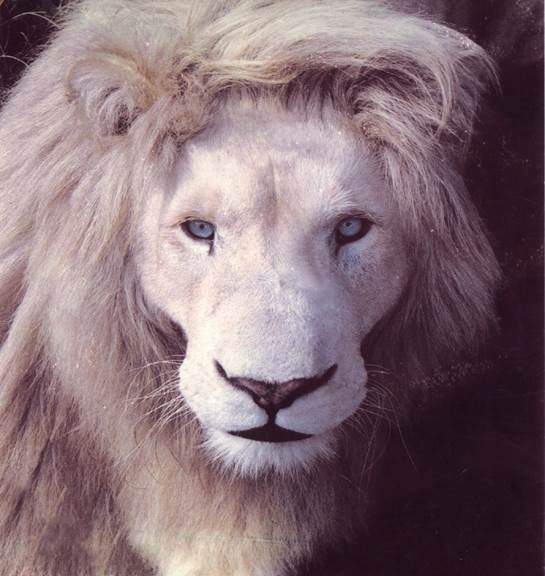 From the 60s to today: White Lions were forcibly removed from their natural endemic habitat of Timbavati (a United-Nations declared Biosphere Region) and put into cages and circuses around the globe, and in South Africa: death camps. 2010: At first, our Government put a prohibition on these activities, but the Bloemfontein High Court ruling was set aside in favour of the lion factory-farming industry. 2011: Canned Hunting became directly associated with the tourist-fed captive lion industry, now offering a cub-petting experience. 2014: 55 countries marched and 1.5 Million signatures of an international AVAAZ appeal for prohibition of Canned Hunting, was delivered to the steps of Parliament and handed to the President on 15 March. 2016: South Africa’s officialdom hosted the CITES Conference, and legalized cross-border trade in lion-bones. Which brings us to February 2018: significantly, the date of your election coincided with America’s top trophy outfitters prohibiting Canned Lion trophies exported from South Africa. It’s not difficult to see how captive lion in-breeding and Canned Hunting is an extension of the divide-and-rule policies of Apartheid – for it is not only humans who have been forcibly removed and dispossessed from their lands. Yet, as the timeline indicates, this atrocity was formalized and legalized, Post-Apartheid. Factory-farming lions for killing is not a policy South Africa can defend, neither the old nor the new South Africa. Even Safari Club International and Dallas Safari Club seem to recognize that the negative consequences of South Africa’s “Blood Lion” industry are catastrophic, an immeasurable blot on this country’s soul, alongside its ecological and economic index. Once vilified for Apartheid, our country will go down in history for legalizing crimes against nature that supersede the wrongs perpetrated by the illegal trade in animal parts. For our international reputation and true moral compass, I call upon you with all my heart to repeal this heinous legacy. Zimbabwe’s President Emmerson Mnangagwa’s “Regime Shift” was capable of an ethical position on the trade of baby elephants to China. You, South Africa’s elected LionHearted Leader, can do the same for our lions. In mythic terms, your hero’s journey is monumentally exciting: an opportunity for regeneration, not only of land and resources, but also people, and their pride in national identity. By returning Nature’s kings to their natural kingdom, you hold The Key. It is hard to believe this is even possible – do we have THAT many Lions to even consider such a deal? If NOT a hoax as I suspect, I trust this stupidity will be nipped in the bud. A disgraceful practice just to satisfy people’s false beliefs and earn millions. Please ban this practice for our children’s sakes. I can only echo Linda Tucker’s words, and pray that our President acts responsibly to save our lions, our heritage to the children of Africa. Stop killing lions they will soon all be gone. Kick the safari clubs out – save all your wildlife and treat them as poachers! This is African heritage and should be preserved for future generations, trophy hunting is so wrong by allowing rich people to kill your majestic animals you are helping to destroy your country. Please do not allow this. Please read and read again to absorb the long-term implications to your and all our psyche if this awful practice is continued and sanctioned by you as President. It represents so much more than it might appear. It is time to heed the call to respect Nature, to guard and protect Nature. These magnificent beasts are a legacy of our Nation of whom we can be proud. When the walk wild and free the bring blessings to our land and to all of us! We must cherish those beings that gift us with their power by the very fact of their presence, by the fact that they are alive. These are not commodities for us to trade to gain power, the greatest power they have to offer us if the touch of their living footsteps on Earths soil. Heed this Call! It is time to slay the demon of greed that lives within humanity! The greatest power is Love and Life! Wonderful and powerful letter. I hope he reads it and finally wakes to the reality and truth of the situation. These lions are sacred to Africa. Please don’t let them be killed! Wonderful and powerful letter, which should be published by the media all around! I hope the president steps up to this role and acts for the good of Lions and for the good of All. Now! This is so sad. I visited a zoo today which had a white lion and it brought my attention to the dire need to stop the barbaric canned hunting and exploitation of this beautiful majestic creature. We need to protect them back to their natural habitat. Please stop this cruelty before it is too late to save them! The exploitation of wildlife as a commodity must stop. Treat our lions with respect and love. Please.